Reader Primetime tells me that the iconic Santa Barbara Brewing Company has announced that at the beginning of October it is changing ownership and, by mid-October will be sporting a new bicycle-themed name: ”Cruisery.” Word is that current employees will apply to work for the new owner, Aron Ashland, who will offer a new menu and plans interior improvements. “We would not have enjoyed years of success without the community, many of whom are now friends, and the 1,500+ employees we have employed over the years,” said owners Wayne and Michelle Trella and Steve Hovdesven. “Being the first Brewery in Santa Barbara, we recognize what an important icon SB Brew Co. has become in Santa Barbara.” For more on the story visit KEYT.com. Wayne and Michelle are such great people. Hope they enjoy their new (ad)ventures. I’m not much of a sports guy, but I did enjoy the camaraderie of watching the Cubs fighting and winning their first World Series in 500 years in the BrewCo Lounge. Wayne flew the “W” flag and all. Good peeps and good times. Brew Co was the definition of awful service and mediocre food. Not going to miss it. 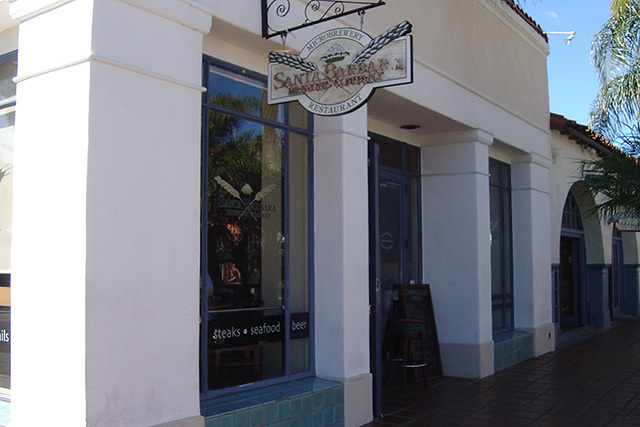 It’s about time we saw some REAL tolerance in Santa Barbara AND on State St. No less! Bravo to the new owners to make such a bold statement, especially with the name – “Cruisery”! I wonder if Al Pacino will be available for the grand opening! I’d be a fool to dream! Any way, it’s about time we had a place in SB that is so clearly LGBTQ friendly! Still have operational wrinkles to iron out. Busy Friday evening and experienced: one person at our table not getting their food at all, informed server that I was buying a round, yet individuals were still charged – after I paid(! ), one person who is allergic to alcohol and asked for water was brought a vodka/water, that same person ordered food and the order was lost, showing up as we were leaving, server gone for 20 minutes at a time, and took 30 minutes for the check after requested. That said, one of our group spilled her cocktail and they comp’d a replacement (thank you!) and I tried the red ale beer, and it was Very good! Would liked to have sampled a cocktail or another beer, but the time wait was unacceptable. Left with the group to another establishment. Calmly conveyed this issues to the hostess as we departed, and she stared at me blankly. I may try again in a few months.